This recipe is mostly protein. Pair it with some carbs and fat to create a well balanced meal and stabilize your blood sugar. Place fish in a ceramic or glass baking dish. Prepare marinade by combining garlic, lime juice, soy sauce, rice vinegar, ginger, honey, water, and 1 tbsp cilantro. Add marinade to fish and refrigerate for 10 minutes. Remove from refrigerator and bake in oven for 15 minutes or until fish is cooked through. Top with lime zest and remaining cilantro. 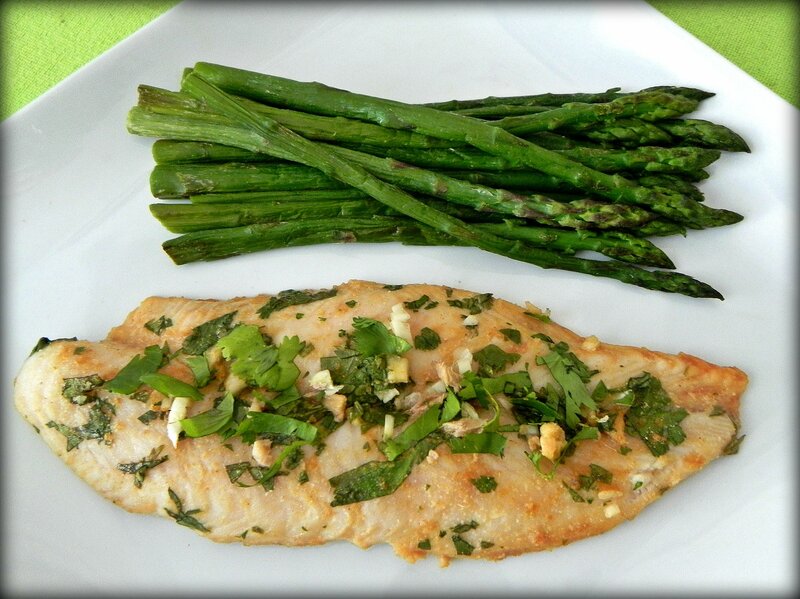 Serve with cilantro-lime quinoa or roasted asparagus if desired.